Home » Archive for category "Uutiset @en"
The theme of the Time of Music 2019 edition is “The Grammar of Light”. The theme dwells on themes linked in music to light and its metaphysic and existential layers bordering on the sacred and mystic, themes that have been of importance since the beginning of resident composer and teacher Kaija Saariaho’s career. This theme is equally central to another composer sharing the main initials, Karlheinz Stockhausen who´s later production is seldom heard in Finland. During the first part of the opening concert on 2nd of July “Signals and Sequences” we hear violinist Aliisa Neige Barrière perform Bach´s spiritually powerful Chaconne from the D minor Partita II, the famous Tombeau piece that Kaija Saariaho’s large piece for violin and electronics Frises is a reflection on. Frises (Friezes) is performed for the first time in its entirety in Finland after the chaconne. During the second half, we hear for the first time in Finland Karlheinz Stockhausen´s two different pieces performed simultaneously, the overwhelming Oktophonie (1991) and Signale zur Invasion (1992). Both pieces are part of the second act – the cosmic battle between Michael and Lucifer – of Dienstag aus Licht, from Stockhausen’s monumental 7-day opera cycle Licht. Trombonist Thomas Moore plays and walks a parcours amongst the audience while the walls becomes the stage for video artist Klaas van Verpoest’s liquid visuals. On Saturday 6th the festival presents in the “The Heart of Darkness” concert for the first time in Finland French collective La Chambre aux échos’ reworking of Saariaho´s violin concerto for Graal Théâtre for violinist, actor and videos based on Aleksi Barrière’s libretto. Norwegian Peter Herresthal joins as a violinist, Thomas Kellner acts, as ensemble we hear Uusinta Ensemble, and Christian Karlsen conducts. The concert starts with a real Saariaho gem: the audience has a chance to experience for the first time since 1981 a new workshop version of Saariaho´s first piece for music theatre Study for Life based on T.S. Eliot’s iconic The Hollow Men for soprano, actor, electronics and lights, staged by Aleksi Barrière. The piece is sung by Tuuli Lindeberg. The concert is complemented with Serbian–Swedish Djuro Zivkovic´s piece On the Guarding of the Heart, the 2014 winner of Grawemayer Award for Music Composition. The detailed concert programme will be published in May. Time of Music organizes once again the Summer Academy of Contemporary Music from 2nd to 7th July 2019 in Viitasaari, Finland. The three courses of the Academy will be tutored by international guest stars and leading composers, pedagogues and musicians of the world. We welcome all interested music students and young professionals to deepen their knowledge and enhance their skills in composition, chamber music and improvisation. The teachers (Kaija Saariaho and Camilla Hoitenga) and the details of the two first courses were published already in December 2018. The third course will be taught by a renowned saxophonist John Butcher. Since the early 80s, Butcher has collaborated with hundreds of musicians, as well at large groups as at small duo concerts with his friends. Butcher always attempts to engage with the uniqueness of time and place. His music ranges through improvisation, his own compositions, multitracked pieces and explorations with feedback and unusual acoustics. The course will be a practical exploration of the rewards and challenges of solo, small group and large ensemble improvisation, the aim being to develop one’s own voice in a way that makes sense both as a soloist and in collaborative, spontaneous music making. Course fee for active students is 250 € and passive students is 100 €. Active student fee includes entrance to all Festival concerts that are not fully booked. Application dead line for the composer course is 17th February 2019, for the chamber music course and for the improvisation course 17th March 2019. All courses are taught in English. Time of Music Festival organized in early July in Viitasaari, Finland has published two summer academy courses. The composer course is taught by composer Kaija Saariaho, a prominent member of a group of Finnish artists who are making a worldwide impact. The award winning composer (Grawemeyer Award, Wihuri Prize, Nemmers Prize, Sonning Prize, Polar Music Prize and the BVVA Foundation´s Frontiers of Knowledge Award) is working on her fifth opera. Her music will be heard extensively at the festival programme. Chamber music course for performers is tutored by flutist Camilla Hoitenga. At home on stages all over the world, Hoitenga is especially well known for her collaboration with Kaija Saariaho and Karlheinz Stockhausen and her award winning recordings of Saariaho’s repertoire. At the summer academy course she will be working with solo players and existing chamber collectives. The application process opens on January 15th, when also the third summer academy course will be published. The festival programme will be published later during the spring. Time of Music Festival and Summer academy courses are held 2.-8. July 2019. The contemporary music festival Time of Music organized yearly in Viitasaari, Finland will receive a new Executive director from the beginning of the year 2019, Mikko Vehkaperä. Former director Vilja Ruokolainen will move to new challenges after rewarding 6 years. Composer Johan Tallgren is continuing as an Artistic director. Mikko Vehkaperä has worked as the Head of study affairs at the University of Lapland, Rovaniemi since 2004. He majored in administrative sciences and did his Master’s thesis in 2003 about the regional economic impacts of music festivals and the public-private partnership in organizing festivals. Alongside the university career he has produced different cultural projects especially involving choirs. Latest projects have been the leadership of festival KontraPunctum in Rovaniemi during years 2014-2016 and producing the international Encanto Festival in Kauniainen and Helsinki in 2017 and 2018. This December Vehkaperä will graduate with excellence as a Cultural producer from Humak University of applied sciences. As a specialist of early music the consonance loving countertenor will hop into the swirls of contemporary music at Time of Music with great interest. Next edition of Time of Music Festival will be organized in Viitasaari, Finland July 2-8, 2019. More information from Executive director Vilja Ruokolainen, vilja.ruokolainen@musiikinaika.org, +358 40 564 5501. Time of Music’s and defunensemble’s co-commission work from Alexander Schubert has been moved to the festival programme of 2019. Commission from one of the most noted young composers and artists in Europe was scheduled to have its first performance at a concert in Viitasaari Theatre on Wednesday 4.7. Schubert will visit this year’s Time of Music festival, prepare the commission and give a lecture at the Electronics Lab course about his works and working methods. defunensemble will play his piece “Star Me Kitten” in their concert on Friday 6.7. Time of Music Festival, organized on July 3-9 in Viitasaari, Finland, presents works and artists dealing with hybrid arts and challenging the traditional idea of an artwork. Festival of contemporary music lead by composer Johan Tallgren focuses on the change in the roles of an audience, a performer and a composer / author that is accelerated by the digital age sense of time. The opening concert “The Otheroom” makes the audience move in space, among the theatrical ritual triggered by live electronics. A work by composer Rolf Wallin and choreographers and scenographers Heine Avdal and Yukiko Shinozaki from fieldworks Collective (Belgium) sets on stage dancers, musicians and helium balloons. The Otheroom was premiered in Oslo in 2016 and will be presented at Viitasaari Areena on the opening day of the Festival, Tuesday 3.7. While the opening concert is breaking the boundaries between the audience and the performers, the two commissioned compositions by the festival are dealing with space and body from different perspectives. Sampo Haapamäki’s piece for the International Contemporary Ensemble, co-commissioned with IRCAM (Institut de Recherche et de Coordination Acoustique/Musique, Paris) is using motion capture technology to trigger live electronics with the conductor’s movements. Another world premiere is co-commissioned with the Finnish electro-acoustic music group defunensemble from Alexander Schubert, whose works are closer to hybrid multi-artistic spectacles than traditional compositions. The work “Backrooms” using video, electronics and multiple spaces will be performed on Wednesday 4.7. at the Theatre space. Alexander Schubert (born 1979) is one of the most influential ”The New Discipline” composers in Europe. His works are performed at the main contemporary music festivals such as Wiener Festwochen, Ruhrtriennale and Manifeste. Time of Music he visits for the first time. Body and electronics are present not only in the pieces performed at the festival but also at the Electronics Lab course. The unique course features among others Chaya Czernowin, Rolf Wallin, Alexander Schubert and specialists from IRCAM, who are giving an insight to their works. The programme is published in May. Time of Music Festival (Viitasaari, Finland) offers in the summer 2018 interesting opportunities to study contemporary music. We welcome all interested music students and young professionals, both composers and musicians to deepen their knowledge of the classics of contemporary music and enhance their skills in composition and improvisation. Composer course is taught by the prize-winning composer Chaya Czernowin. Her music has been performed throughout the world, by some of the best orchestras and performers of new music. She has held a professorship at UCSD, and was the first woman to be appointed as a composition professor at the University of Music and Performing Arts in Vienna, Austria (2006–2009), and at Harvard University, USA (2009 and on) where she has been the Walter Bigelow Rosen Professor of Music. Deadline for applications for composer course is February 16th. Improvisation course and Electronics lab take applications until March 31st. Improvisation course is lead by vocalist and composer Jennifer Walshe and Japanese sound poet and improviser Tomomi Adachi. The artists have been performing together since meeting in New York in 2010, focusing on the combination of their voices with electronics, objects and instruments. The masterclass ends in public concerts during the last days of the Festival. Electronics lab offers meeting points and different working modules for composers, performers and professionals in music technology, thus giving a possibility to get involved with the latest technology (such as gesture capturing) in contemporary music. Experts of IRCAM (Serge Lemouton and Frederick Bevilacqua) and highly experienced performers and composers (amongst others Rolf Wallin, Alexander Schubert and Sampo Haapamäki to mention a few) participating in the festival programme visit the lab that enables all interested to participate at their own level of technical knowledge. The host for the lab is composer Sami Klemola, artistic director of defunensemble. Course fee for active students is 250 € and passive students is 100 €. Active student fee includes entrance to all Festival concerts that are not fully booked. All courses are taught in English. Time of Music festival´s (Viitasaari, Finland) theme was art & autonomy. Both the discussions and the artistic programme tackled questions such as: What is the role, value and appreciation of art in our world? How does digitality affect the autonomy of arts? Festival´s guest composer was James Dillon. Dillon has been associated with the new complexity school, but the pieces presented at the festival for the first time in Finland, give the audience a chance to hear the later development of his style and oeuvre. During the festival week it was possible to enjoy music by amazing ensembles such as Talea Ensemble, Quatuor Bozzini and Poing. Contemporary music specialist, soprano Juliet Fraser performed with pianist Mark Knoop. During the portrait concert of young Finnish composer Sebastian Hilli we heard the world premiere of his guitar concerto confluence/divergence.The guitar soloist was Petri Kumela with the Finnish Uusinta Ensemble. The largest ensemble at Time of Music consisted of players of International Ensemble Modern Academy, the Ulysses Network and Sibelius Academy. This ensemble was a residence ensemble for conductor course lead by Susanna Mälkki. Time of Music’s two day seminar was about contemporary challenges of art, identity and autonomy. The speakers were Sir John Tusa, Mark Applebaum, Catherine Milliken, Teemu Mäki, Pekka Toivanen and Sini Mononen. This year’s Time of Music gathered an audience of nearly 2000 people. The most popular concerts were the opening concert, children´s concert and concert with the magnificent Juliet Fraser. Next years festival dates are 3.-9.7.2018. Time of Music Festival at Viitasaari, Finland presents James Dillon as guest composer, world premieres from young Finnish composers Sebastian Hilli and Jouni Hirvelä and contemporary music masterworks never before performed in Finland. Time of Music is the yearly lookout to contemporary music that includes summer academy courses and a cutting edge festival programme. The festival dates are 4-9 July. At the opening concert 4th of July Talea Ensemble from New York, visiting Finland for the first time, presents Steven Kazuo Takasugi’s piece Sideshow. The work, premiered in 2015, was composed for Talea and has drawn great attention as a performative freak show of our time. The ensemble will also present James Dillon’s The New York Triptych later in concert during the festival. Guest composer Dillon has been associated with the new complexity school, but the pieces presented at the festival for the first time in Finland, give the audience a chance to hear the later development of his style and oeuvre. Another major piece by Dillon heard at the festival will be the extensive piano cycle The Book of Elements played by pianist Noriko Kawai. Contemporary music specialist, soprano Juliet Fraser performs with pianist Mark Knoop Michael Finnissy’s Andersen-Liederkreis from 2016 and music from Peter Ablinger and Bernhard Lang. Other visiting ensembles are Canadian Quatuor Bozzini and Norwegian trio POING, who will among other pieces present Bent Sørensen’s work De Fire Årstider for ensemble and an actor with text by Norwegian contemporary writer Tomas Espedal. During the portrait concert of young Finnish composer Sebastian Hilli we hear the world premiere of his guitar concerto confluence/divergence. The guitar soloist is Petri Kumela with the Finnish Uusinta Ensemble. Final concerts of the conductor course led by Susanna Mälkki form their own remarkable entity with masterworks by Magnus Lindberg, Veli-Matti Puumala, Pierre Boulez, Harrison Birtwistle and others. The programme is available at http://musiikinaika.org/ohjelma-2/?lang=en. It will be completed with side programme and course concerts. The upcoming edition of Time of Music Festival (Viitasaari, Finland) will focus on the theme of Art & Autonomy. Though the theme resonates with centenary celebration of Finland’s independence this year, it is a universal theme addressed by international speakers and performers. Both the discussions and the artistic programme tackle questions such as: What is the role, value and appreciation of art in our world? How to maintain the autonomy of art and possibilities to co-operation in a time that favors competition and short term wins? How does digitality affect the autonomy of arts? Time of Music’s two day seminar deals with contemporary challenges of art, identity and autonomy, the first day’s working language being English and the second day’s Finnish. The key speaker of the first seminar day on Thursday 6th July is Sir John Tusa, who is a prominent writer and thinker, former managing director of the BBC World Service and the Barbican Arts Centre. He has written a body of books about cultural policy, cultural management and their assessment in Britain. Other speakers are composer, oboist Cathy Milliken, who ran several years the Berlin Philharmonics’ education programme, and Mark Applebaum, Professor of Composition and Theory at Stanford University and an expert in hybrid arts. The second day on Friday 7th July, working language Finnish, speakers such as artist, writer Teemu Mäki, PhD., lecturer Pekka Toivanen from University of Jyväskylä and researcher, journalist Sini Mononen present the challenges of arts today and tomorrow in Finland. The guest composer of the festival is James Dillon. The award-winning artist is self-taught as a composer and has studied mathematics, art and design, linguistics, piano and computer music. During his career he has received four Royal Philharmonic Society Composition Awards and honors and an honorary doctorate from the University of Huddersfield in 2003, and he is a guest lecturer and composer in well known institutions like Darmstadt Ferienkurse and Voix Nouvelles, Royaumont as well as elsewhere around the world. Dillon’s compositions are heard in several festival concerts and he tutors a course for composers. A rare portrait concert of a Finnish composer presents Sebastian Hilli. This young composer won the Toru Takemitsu composition competition in 2015 and is at the moment creating a commission for Helsinki Philharmonic Orchestra and a choir of 500 singers. Hilli’s pieces are performed by the Finnish Uusinta Ensemble and Canadian Quatuor Bozzini, both visiting ensembles of the festival. Another guest ensemble is Talea Ensemble from New York. The ensemble, excelling in contemporary music, has premiered many important works in the US and is a frequent guest in Europe, though first time in Finland. At Time of Music they will perform guest composer James Dillon’s New York Triptych among other pieces. A third international guest ensemble is POING, a saxophone – accordion – double bass trio from Norway. The largest ensemble at Time of music will consist of players of International Ensemble Modern Academyn, the Ulysses Network and Sibelius Academy. This ensemble is a residence ensemble for conductor course lead by Susanna Mälkki, Chief Conductor of the Helsinki Philharmonic Orchestra and Principal Guest Conductor of the Los Angeles Philharmonic. The final concerts of the course July 8-9 present works by Pierre Boulez, Thomas Adés, Harrison Birtwistle and Jonathan Harvey among others. Time of Music Festival is organized in Viitasaari, Finland 4th-9th July 2017. The concert programme will be published in May at www.timeofmusic.org. Musical Collisions and Radical Creativity course invites composers, performers, and composer-performers to examine the margins of musical culture in search of nonconformist, maverick, and eccentric creative impulses that radically expand the definition of art. Course topics include ritual in performance; the boundaries of musical indeterminacy; the ephemerality of silence; polyartists and dilettantes; the opportunities and perils of the “culture of one”; visual music, choreography, mixed media, and intermedia among others. Participants will have the option to present their music to the group, get feedback on work in progress, and take optional lessons with Mark Applebaum. Daily meetings will consider the role of the “artistic collision” in the sphere of new music and media, and discuss musical works and ideas that serve as tools for leveraging innovation, questioning artistic boundary conditions, and celebrating the experimentalist’s aspiration to succeed but willingness to fail in search of new musical orientations. The course forms a group improvisation ensemble, learning John Zorn’s game piece “Cobra,” considering ways of interpreting graphic scores, and trying out ideas by the participants. Mark Applebaum (born 1967 in Chicago, Illinois) is Associate Professor of Composition and Theory at Stanford University. He received his Ph.D. in composition from the University of California at San Diego where he studied principally with Brian Ferneyhough. His solo, chamber, choral, orchestral, operatic, and electroacoustic work has been performed throughout the United States, Europe, Africa, and Asia with notable premieres at the Darmstadt summer sessions. He has received commissions from Betty Freeman, the Merce Cunningham Dance Company, the Fromm Foundation, the Paul Dresher Ensemble, Wien Modern, Antwerp’s Champ D’Action, Festival ADEvantgarde in Munich, Zeitgeist, MANUFACTURE (Tokyo), the St. Lawrence String Quartet, the Kronos Quartet, the Jerome Foundation, and the American Composers Forum, among others. His music can be heard on recordings on the Innova, Tzadik, Capstone, and SEAMUS labels. As a jazz pianist, Applebaum has performed around the world. In 1994 he received the jazz prize of the Southern California Jazz Society. Additional information is available at www.markapplebaum.com. The course is a part of Summer Academy programme by Time of Music Festival held in Viitasaari, Finland July 4-9, 2017. Deadline to apply to the course is March 15th. Other Summer Academy courses are masterclass for conductors tutored by Susanna Mälkki and composition course by James Dillon. The festival programme will be published in May. Go directly to the course page. Time of Music Festival offers in the summer 2017 a unique opportunity to study conducting with Susanna Mälkki. Chief Conductor of the Helsinki Philharmonic Orchestra and Principal Guest Conductor of the Los Angeles Philharmonic will tutor a rare masterclass for young conductors. Participating conductors work with an ensemble consisting of IEMA (International Ensemble Modern Academy) together with young musicians proposed from the EU funded Ulysses network. They prepare works by Sir Harrison Birtwistle, Thomas Adès, Franco Donatoni and Magnus Lindberg amongst others. Repertoire will be performed in concerts during the Time of Music Festival. “Susanna has a unique view as former Chief Conductor of Ensemble Intercontemporain that has taken her everywhere from La Scala to Metropolitan. We are thrilled to welcome Susanna to Viitasaari next summer, when it is also the 100th anniversary of independent Finland. The course will gather interested musicians worldwide and is a perfect opportunity to offer the highest quality contemporary music education in Finland”, says the festival’s artistic director Johan Tallgren. The guest composer and tutor at the composer course is James Dillon. The Scottish composer has been rewarded many major prizes for his compositions and he has an extensive career as a professor of composition. James Dillon is self-taught as a composer and has studied mathematics, art and design, linguistics, piano and computer music. His earlier music is often described belonging to the “new complexity” school, but later on he has become famous especially for his large scale compositions such as Nine Rivers, awarded 3-and-half-hour music cycle. Works by Dillon will be heard in several concerts during the festival. Application for the composition and conductor courses opens 12.12.2016 and closes 15.2.2017. Both courses are part of international EU-funded Ulysses network project. The application info will be published at Time of Music website www.timeofmusic.org, where the festival will also publish the rest of the summer 2017 courses in January. 36th edition of Time of Music festival is organized in Viitasaari, Finland, 4-9 July 2017. Patiparn Jaikampan has won the Einojuhani Rautavaara Chamber Choir Composition Competition. The prize consists of a cash prize of 7000 euros plus a commission to write a work for the Helsinki Chamber Choir, worth 4000 euros. The members of the jury were Mauricio Sotelo, Cornelia Bend, Kaspars Putniņš and Johan Tallgren. The audience also voted for their favourite. The audience prize was awarded to Raphaël Languillat. The competition final took place at the Time of Music festival in Viitasaari, Finland on 6 July 2016. In the concert the Helsinki Chamber Choir was conducted by Nils Schweckendiek. The five finalists were selected on the basis of anonymous applications. Before completing their final work for the competition they worked with the Helsinki Chamber Choir, Nils Schweckendiek and composers Ondřej Adámek and Jukka Tiensuu in a workshop held in Helsinki. The 2nd International Rautavaara Competition is organized by the Helsinki Chamber Choir and the Viitasaari Time of Music Festival in association with Tenso Network Europe. The Competition Founder and Artistic Director is Nils Schweckendiek and the event is generously supported by the Art Mentor Foundation Lucerne and the Jenny and Antti Wihuri Foundation. Time of Music Festival is one of the partners in EU financed 4-year project Ulysses. The project was preceded by Ulysses Network Project 2012-2016, that grounded the cooperation of the partners and gave ideas for the new project. Ulysses project will continue to work with young composers, artists and ensembles in contemporary classical music genre and focus on the new audiences and dissemination of the artform. Ulysses project was granted the total sum of 2 million € for four years. The total budget of Time of Music will be 260 000 € and it will bring to Viitasaari Summer Academy students, young ensembles and composers working with them, networking and production of music premieres. The project starts 1st June 2016. The project is coordinated by IRCAM (Institut de recherche et de coordination acoustique musique) and other partners are Aldeburgh Music (UK), Flagey (BE), Divertimento Ensemble (IT), Fondation Royaumont (FR), Institut für Kulturelle Innovationsforschung – new classical e.V. Summer Academy OPUS XXI (DE), Impuls (AT), Internationale Ensemble Modern Akademie (DE), Internationales Musikinstitut Darmstadt (DE), Eesti Filharmoonia Kammerkoor (EE), Gaudeamus Muziekweek (NL) and Ultima Oslo Contemporary Music Festival (NO). Year 2015 edition of Time of Music Festival is titled ”Checkpoint Viitasaari”. The festival brings together an exceptionally wide range of artist generations: both those who have established their careers and those who visit Viitasaari the first time. Time of Music aims at creating dialogues between generations and their questions, checkpoints and experiences. Since the early days of the festival, Brian Ferneyhough and George E. Lewis are returning to the festival to teach the professionals of the future. Welcomed and expected guest, Sir Harrison Birtwistle visits Viitasaari the first time. 80-year-old Birtwistle is no doubt one of the most distinguished living composers in the world. Time of Music Summer Academy courses have over 40 participants who work with composition, improvisation, ensemble playing and percussions. Sir Harrison Birtwistle´s music has been presented all over the world during his anniversary celebrations. The festival presents the largest portrait on Birwtistle´s music in Finland so far, focusing on later chamber music and culminating in his late masterpiece Theseus Game for 30 players and 2 conductors. Birtwistle’s piano repertoire is performed by contemporary music expert pianist Nicolas Hodges. Steven Schick, one of the most esteemed percussionists and pedagogues will be joining with Hodges in Birtwistle’s Axe Manual. With Schick’s tutoring the percussion course will prepare and perform Birtwistle’s percussion ritual “For O, for O, The Hobby-Horse is Forgot”. The programme includes also Birtwistle’s Pulse Shadows, which is based on Paul Celan’s texts and performed by Uusinta Ensemble, Quatuor Diotima quartet and one of the top contemporary sopranos Tony Arnold. The piece is conducted by Christian Karlsen. One of the largest residencies in the history of Time of Music is the long visit of Ensemble Modern. The ensemble founded in 1980 and based in Frankfurt am Main, Germany, is internationally considered one of the leading ensembles of contemporary music. They return to Finland first time after 1980s and play several concerts at the festival, among them Hans Zender’s 33 Veränderungen über 33 Veränderungen and one of the festival’s commissions, Lauri Supponen’s orchestral piece “fix”. The ensemble is conducted by Johannes Kalitzke, Frank Ollu and Steven Schick. Time of Music is a partner at Ulysses Network Project funded by EU commission. During 2015 the Ulysses Network Project will bring to Viitasaari the French contemporary music string quartet Quatuor Diotima and two very interesting ensembles by young musicians, Ensemble Nikel from Israel and Switzerland and Dutch ensemble Looptail. Brian Ferneyhough, widely recognized as one of today’s foremost living composers and pedagogues, will be teaching young composers in the frame of the EU project. Main Finnish artists are Helsinki Chamber Choir and UMO Jazz Orchestra. The Chamber Choir, conducted by Nils Schweckendiek will perform pieces by Ferneyhough, Lewis and Birtwistle, all present at the festival, and one of the commissions of the festival, Heinz-Juhani Hofmann’s “Self-portrait” based on his own text. George E. Lewis has written his first choir composition “The Ancient World” for Helsinki Chamber Choir, and its world premiere will be performed at the festival. One of the all-time favorite Viitasaari visitors, UMO Jazz Orchestra performs Lewis’s big band music and a wide range of contemporary pieces written for the orchestra. Last day of the festival is dedicated to the younger generation of artists and composers. The concerts include 9 world premieres from young composers around the world. The festival culminates in Steve Reich’s minimalist masterpiece “Drumming”, performed by Steven Schick and percussion course. Time of Music June 30 – July 5, 2015. The whole programme can be seen at the “schedule” page, and will be completed with home concerts and talk programme shortly. 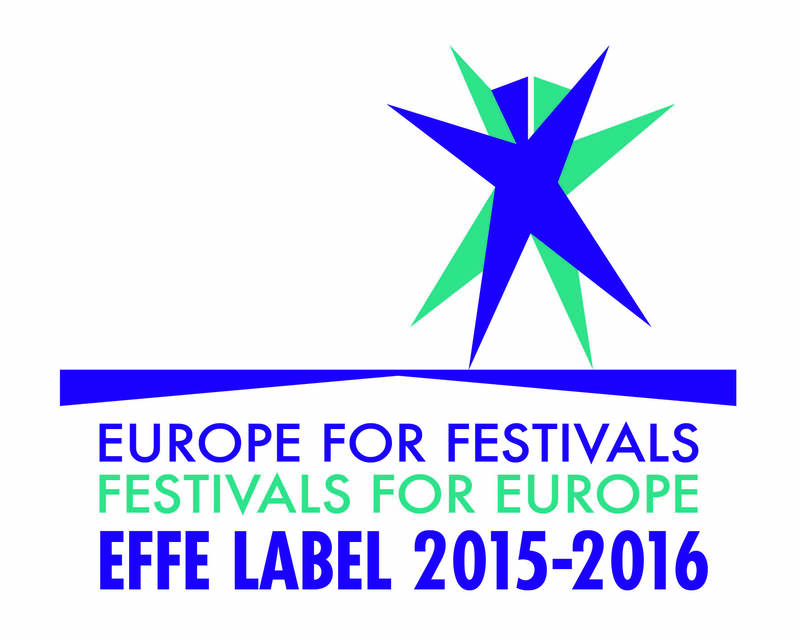 EFFE is proud to announce the results of Europe’s finest festivals honored with the EFFE Label 2015-2016. 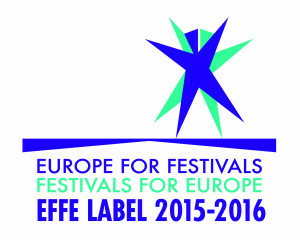 Following a process of intense evaluation from national experts to an international jury, 761 festivals from 31 countries now belong to the first generation of EFFE Label recipients. The International Einojuhani Rautavaara Chamber Choir Composition Workshop and Competition is an opportunity for young composers to work intensively with a professional chamber choir. Participants will work with the Helsinki Chamber Choir and renowned composers Beat Furrer and Jukka Tiensuu in a workshop in November 2015 before completing their final composition for the competition. The competition will take place at the Viitasaari Time of Music Festival on 4–6 July 2016. At the conclusion of the final concert, an international jury, headed by composer Georg Friedrich Haas, will award the Einojuhani Rautavaara Prize, which consists of a cash prize of 7000 euros, a performance of the winning Competition entry during the Helsinki Chamber Choir’s 2016/17 season and a commission to write a 12-minute work for the Helsinki Chamber Choir for its 2017/18 season. The value of the commission is 4000 euros. Zesses Seglias, winner of the 1st Rautavaara Competition in 2012, says: “Working with the Helsinki Chamber Choir was beyond any expectations a composer might have when taking part in a competition. The process was a constant back-and-forth stream of feedback at the end of which I got a highly professional performance.” Since winning the Rautavaara Competition, Zesses Seglias has been commissioned by Klangforum Wien and the Bregenzer Festspiele. Year 2015 edition of Time of Music Festival brings to Viitasaari, Finland two great names of contemporary British music, Sir Harrison Birtwistle and Brian Ferneyhough. The 80-year-old Birtwistle is no doubt one of the most distinguished living composers in the world. Along his prize-winning compositions, Ferneyhough is widely recognized as one of today’s foremost pedagogues, and he will be teaching at the composer course at the festival. The main guest ensemble is Ensemble Modern, Germany’s leading contemporary music ensemble. Time of Music Summer Academy courses deal with composition, improvisation, ensemble playing and percussions. Sir Harrison Birtwistle will be visiting Viitasaari Festival for the first time, and his music will be played extensively in the festival programme. He is best known for his large scale operas played in England and abroad, for example in Salzburg and Holland Festivals. His music has been interpreted by Pierre Boulez and Daniel Barenboim among others, and he has received several prizes, of which most noteworthy are the Grawemayer Award and Ernst von Siemens Music Prize. The composer will be in Time of Music for rehearsals and performances of his pieces as well as discussions open to public. Brian Ferneyhough is widely recognized as one of today’s foremost living composers and pedagogues, with whom many of our contemporary composers have studied. Born in England, he lives in the US and holds the William H. Bonsall Professorship of composition in Stanford University. He has been associated with the most prestigious teaching institutions and international summer schools for contemporary music such as Darmstadt, Fondation Royaumont, Cambridge and Harvard. Ferneyhough has visited Time of Music Festival in 1993 and now he returns as a guest composer and to teach the composer course. His music will be heard in the programme interpreted by many of the festival’s performers. One of the largest residencies in the history of Time of Music is the long visit of Ensemble Modern. Ensemble Modern, founded in 1980 and based in Frankfurt am Main, Germany, is internationally considered one of the best ensembles of contemporary music. They return to Finland first time after 1980s and play several concerts at the festival. One of the pieces in repertoire is Theseus Game by Sir Harrison Birtwistle, composed for 30 musicians and 2 conductors. It was premiered by Ensemble Modern in 2003 in Ruhrtriennale and will be performed by orchestra that consists of ensemble playing course attendees and musicians of Ensemble Modern. The work is one of the best known pieces of Birtwistle’s later period and not yet heard in Finland. Time of Music is extending its Summer Academy Courses in the future. In 2015, in addition to composer course taught by Brian Ferneyhough and ensemble course mentored by Ensemble Modern, the festival offers courses in improvisation and for percussionists. Course for percussionists will be taught by Steven Schick, one of the most esteemed percussionists and pedagogues of our time. He is currently Distinguished Professor of Music at the University of California, San Diego. The course will prepare and perform the minimalist masterpiece, Steve Reich’s “Drumming” and percussion ritual “For O, for O, The Hobby-Horse is Forgot” by Sir Harrison Birtwistle. Improvisation course is taught by trombonist, composer and author George E. Lewis. Lewis is the Edwin H. Case Professor of American Music at Columbia University, the recipient of a 2002 MacArthur Fellowship and a member of the Association for the Advancement of Creative Musicians (AACM) since 1971. Lewis has worked with Anthony Braxton, Muhal Richard Abrahams and Evan Parker and has been honored with the 2012 SEAMUS Award from the Society for Electro-Acoustic Music in the United States. Time of Music is a partner at Ulysses Network Project funded by EU commission, through which the festival has realized for example multiartistic course by Peter Ablinger, several productions and commissions from composers like Sami Klemola, Jarkko Hartikainen and Ville Raasakka. During 2015 the Ulysses Network Project will bring to Viitasaari the French contemporary music string quartet Quatuor Diotima and two very interesting ensembles by young musicians, Ensemble Nikel from Israel and Dutch Looptail. Time of Music June 30 – July 5, 2015. The whole programme will be published in April 2015.